From cardigans to cars, you can buy just about everything online these days. Even if you end up buying an item in an actual store, you can use the Internet to compare prices and find the best deal. Although online shopping is convenient, there are certain things to know so you can make sure that you're paying a fair price and don't fall victim to fraud! 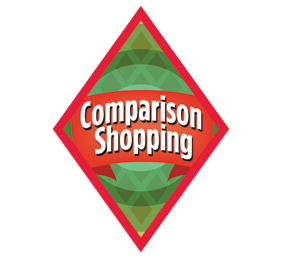 While you can find the Comparison Shopping badge and information in the Girl Scout Cadette's Guide to Girl Scouting, it's never too early to start! Along with comparison shopping, make sure you're using coupons. Often coupons are published in your local paper, sent in the mail, can even be found in your email inbox when you subscribe to get a company's newsletter. It helps be able to save every penny possible, ensuring that you get the best deal out there. The main advantage of online shopping is being able to read a wide range of reviews on any item. Professional reviewers, like those at Consumer Reports, are experts on the items they're reviewing. You can also read "user reviews," which are written by consumers just like you. The key is to be able to sort through piles of reviews making sure that the product is right for you! 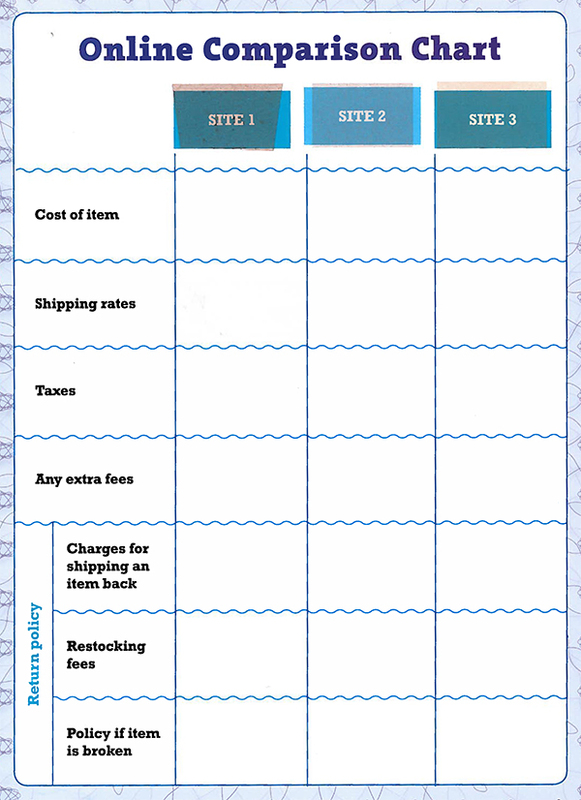 As always, make sure you know how to manage your shopping whether it is online or in a store. You don't want to over spend as many shoppers don't even realize how much money they have spent online until they get their credit card bill. It's always best to set up a budget and to stick to it! 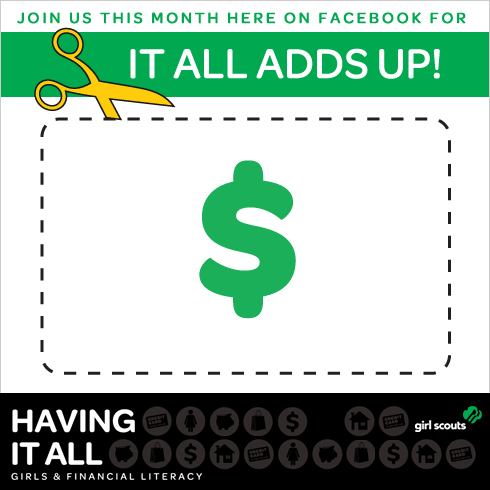 Our "Having It All" Financial Literacy study, releasing on April 15, shows that girls do feel empowered to "have it all." They believe they can live the life they want: they can own a home, provide for their families, and give back to their communities. Girl Scouting provides the tools for girls to gain courage, confidence and character so they can reach their dreams to make the world a better place.